When her mother dies, Alexandria Lee is uprooted from her West Coast home to Savannah, Georgia, where she's forced to live with the grandmother she never knew she had. By birth, she belongs to the Magnolia, a debutante society with members extraordinarily graced with youth, power and beauty. Alex is the first in years to question the League and their doings, and eventually she discovers the secret pact between the Magnolias and the Buzzards - a pact that has a lot to do with hoodoo magic. I actually picked up The White Glove War first because I thought the setting sounded fantastic. 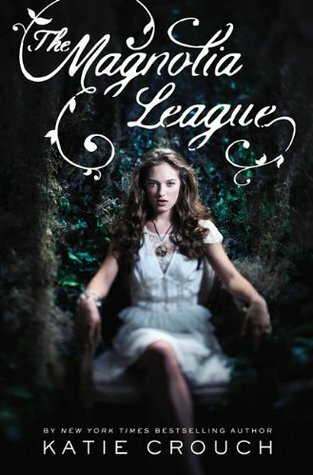 I accidentally overlooked the fact that it’s actually the second book in a series, but luckily The Magnolia League was available for me to borrow from the library as well. It was with great surprise that I found myself tearing through the pages of these two books one afternoon off work. The setting definitely did not disappoint me. I'm utterly fascinated by the culture in the Southern United States, and it was interesting to read a little more about it. It brought to life for me a place that I hadn't really been to before, as well as a type of society I'd never personally experienced. The addition of hoodoo to the mix definitely spiced things up! The Magnolia League is certainly well-done. I like the fact that I was introduced to this large cast of characters, but not in a way that felt like the author was listing them and their attributes down one by one. Instead, it felt like I was gradually initiated into their world, meeting each character in organic a matter as possible. These characters could have been quite stereotypical, but I found them really refreshing because most of them were so... Southern. The book definitely took on some magical twists and turns. I wasn’t very familiar with hoodoo (and knew just a teensy more about voodoo, actually), but after reading this book, I think I have a good grasp of what’s involved. While magic like that is a little scary to me, it definitely added an extra, unexpected oomph. I love how this book tackled two stories simultaneously. One was the story of a girl thrown into a completely new environment, including how she reacted and how she adapted. The other was the story of corruption and deception in a group of very powerful people. Both elements wove together to create the compelling story in The Magnolia League, and I found myself really taken in by what was going on. The romance definitely happened a bit quickly for my tastes, but I did really like it because I thought it was cute. I’m definitely happy that it didn’t play too big a role in the book; it was present but its presence was not suffocating at all. The Magnolia League was a well-told story featuring secret societies, dashes of hoodoo, a teensy bit of romance and a group of unexpectedly interesting female characters. The ending would have been so annoyingly hanging... but I had book two, so all was well in the world. Once upon a time, this was on my list. Well, it still is, but it pretty far down. I am intrigued by the Southern setting. Didn't realize there was a sequel. Thanks for reminding me. Great thoughts. magical twists and turns?? oooh! you make this book sound so good, i haven't heard of this one before! hmmmmm i love twisty books, but ive heard such MIXED THINGS about this one. WHAT TO DO, ALEXA??? Oooh - I need to check this series out! It sounds like something that's right up my alley. Great review!